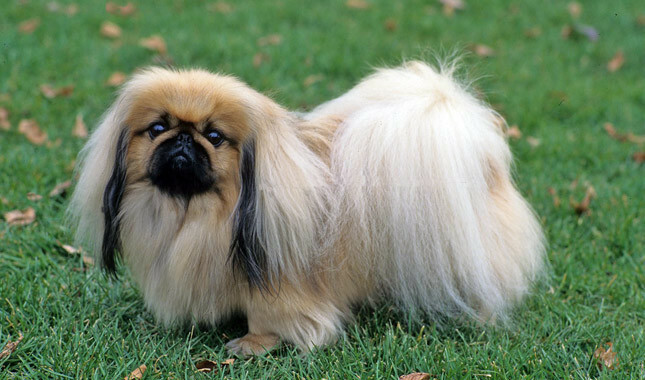 Size/Substance - The Pekingese, when lifted, is surprisingly heavy for its size. It has a stocky, muscular body. All weights are correct within the limit of 14 pounds. Disqualification - Weight over 14 pounds. Proportion - Overall balance is of utmost importance. The head is large in proportion to the body. The Pekingese is slightly longer than tall when measured from the forechest to the buttocks. The overall outline is an approximate ratio of 3 high to 5 long. Click Here to Learn about breeder background checks on Pekingese breeders if you are looking for Pekingese puppies for sale. Click Here to learn how ResearchBreeder.com can help you find healthy Pekingese puppies for sale. Click Here to order a Breeder or Kennel Background Check on Pekingese Breeders that may have Pekingese puppies for sale. Click here to find the national breed club for Pekingese puppies for sale. Click Here to purchase a list of approved ResearchBreeder.com Pekingese Breeders who have Pekingese puppies for sale.